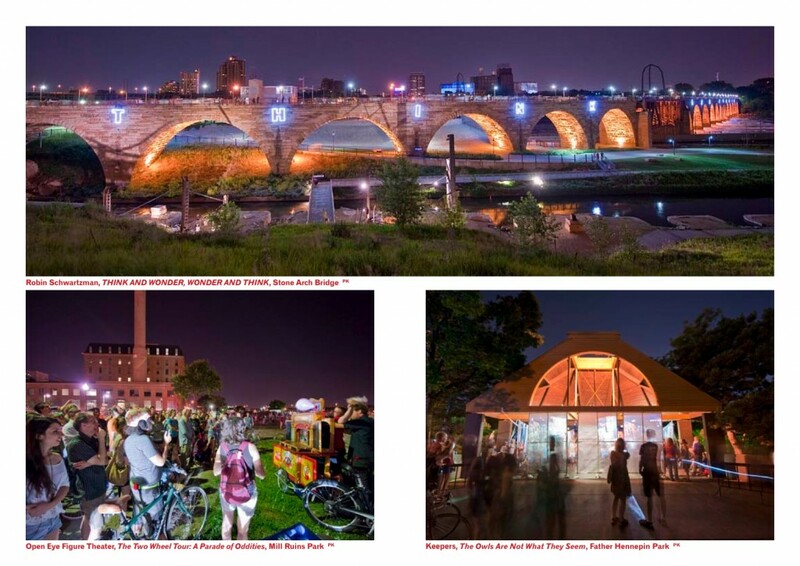 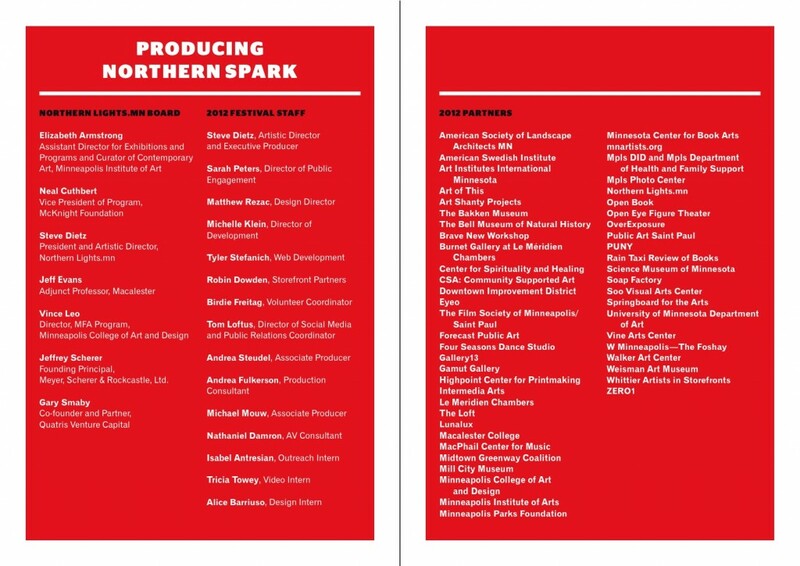 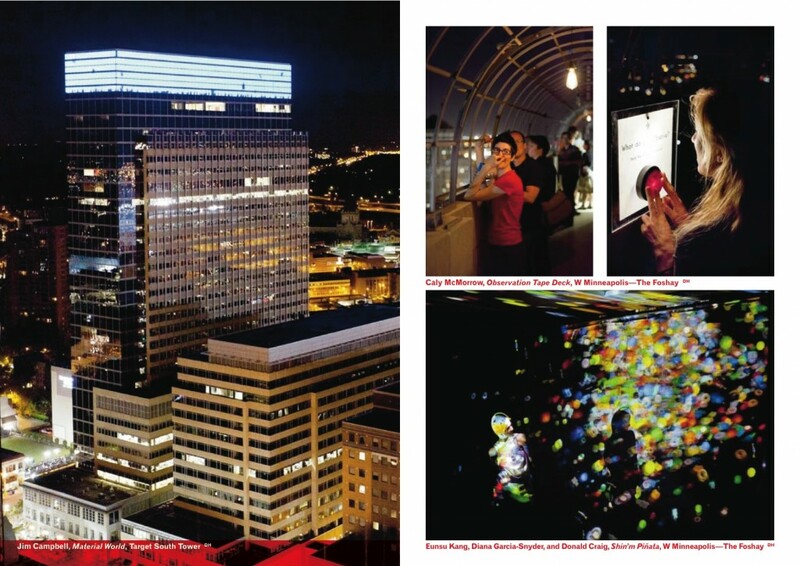 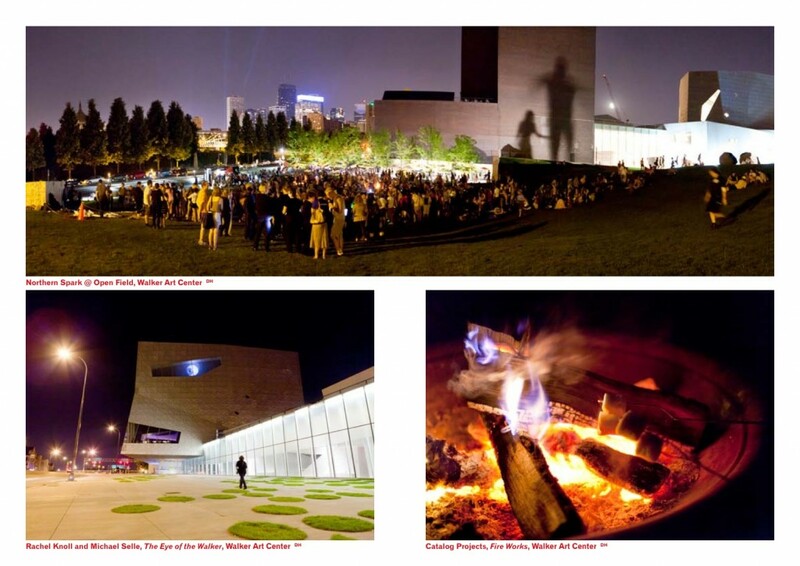 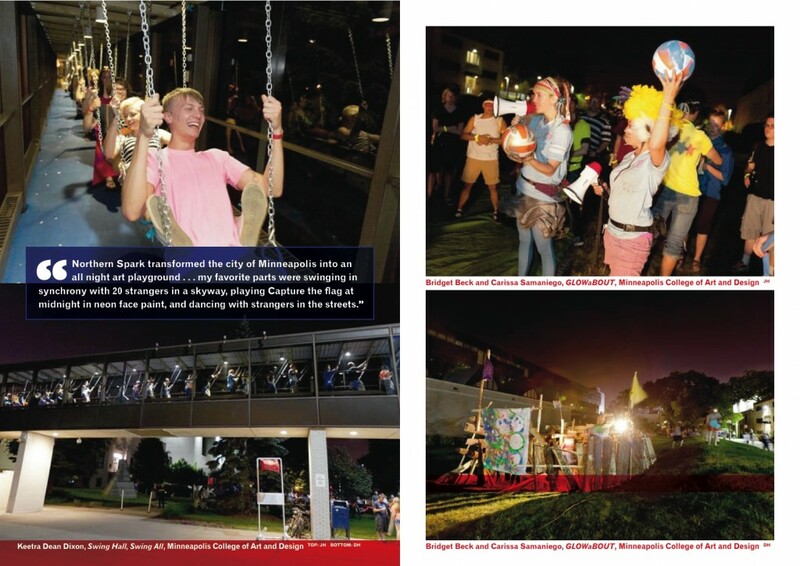 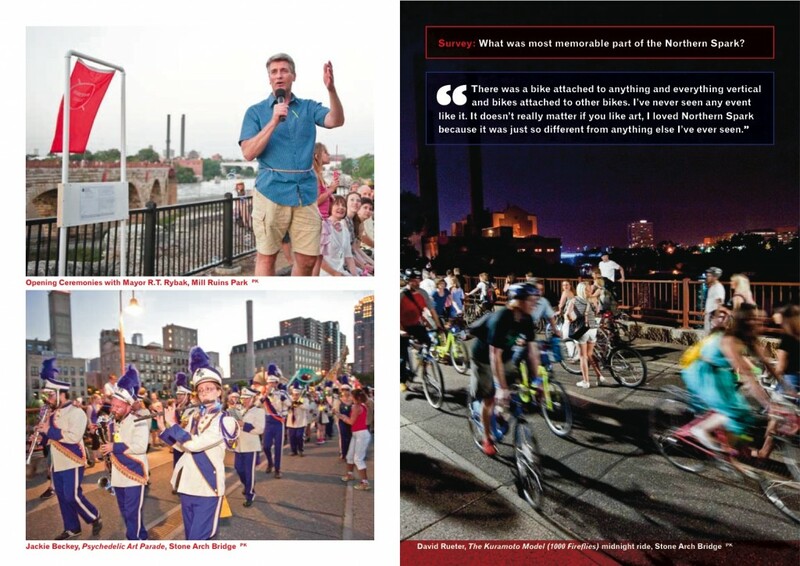 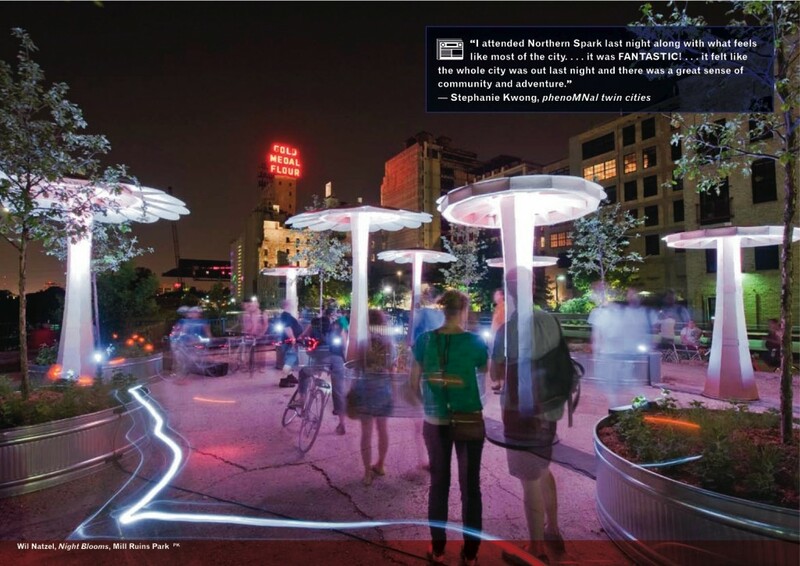 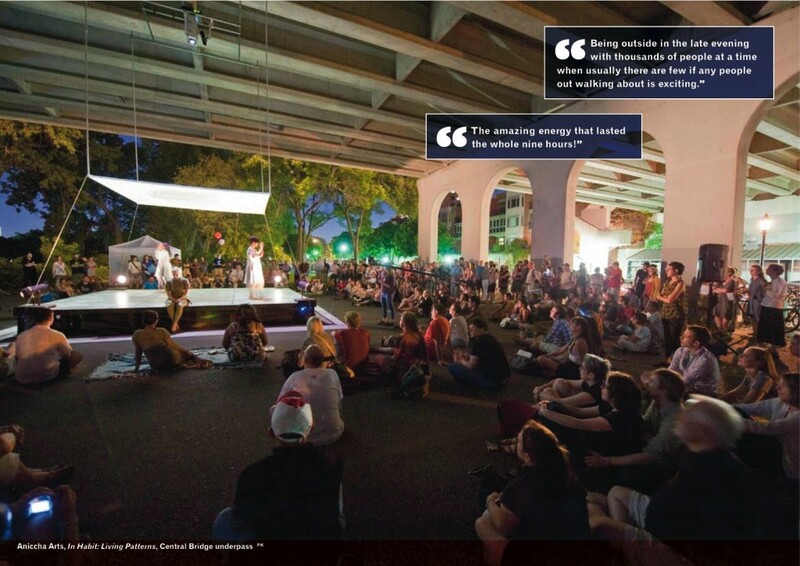 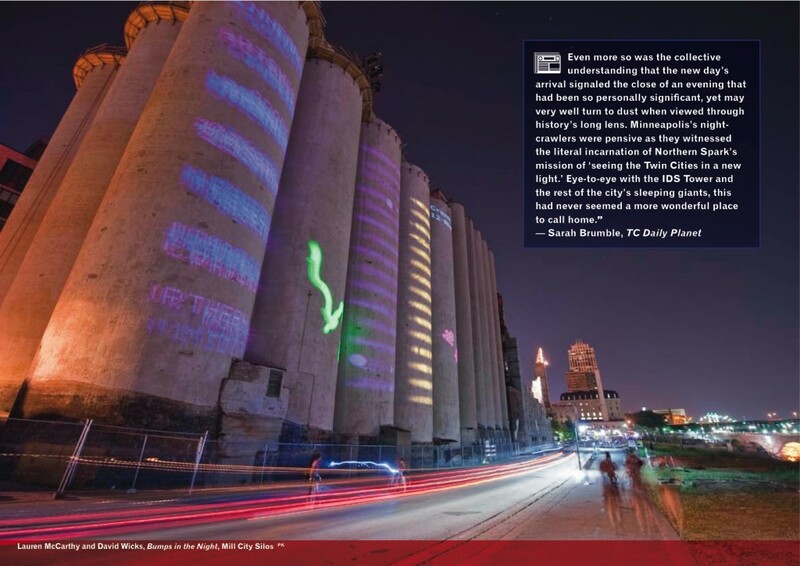 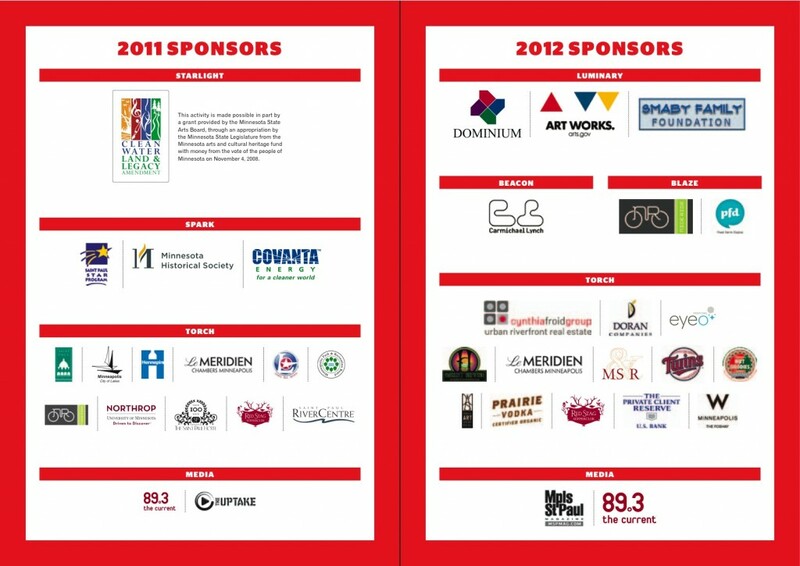 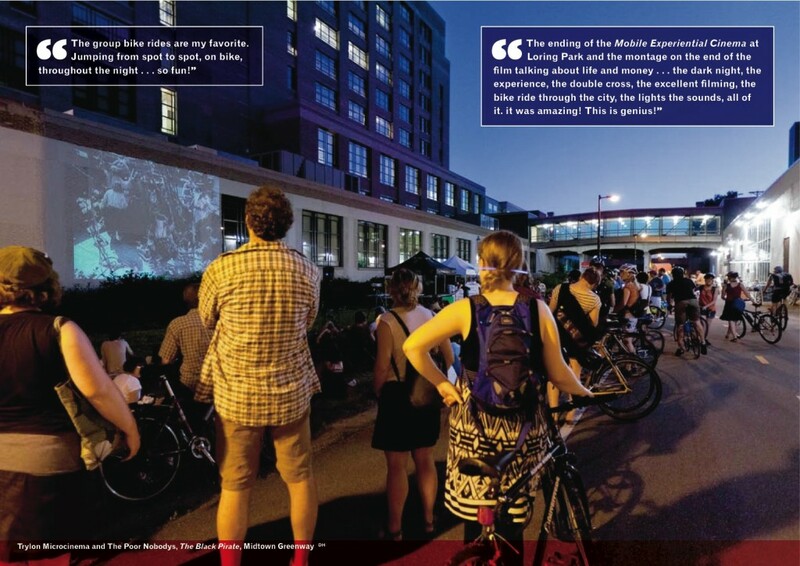 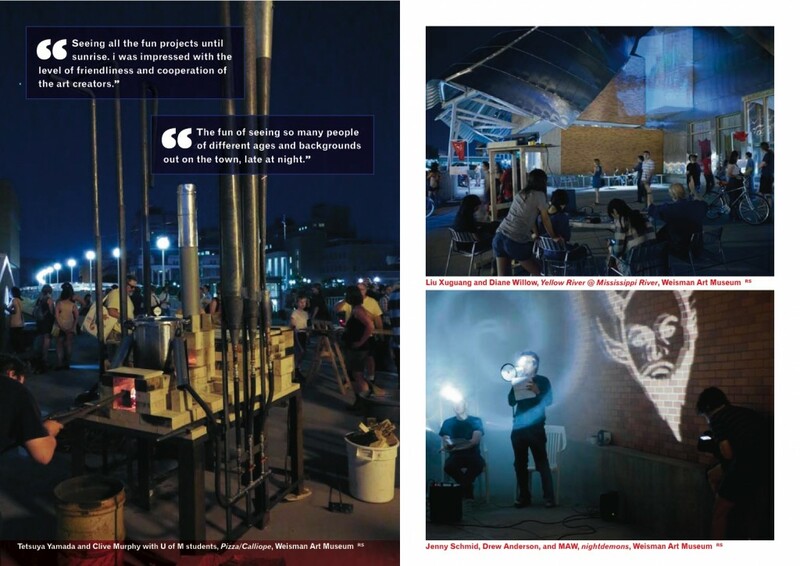 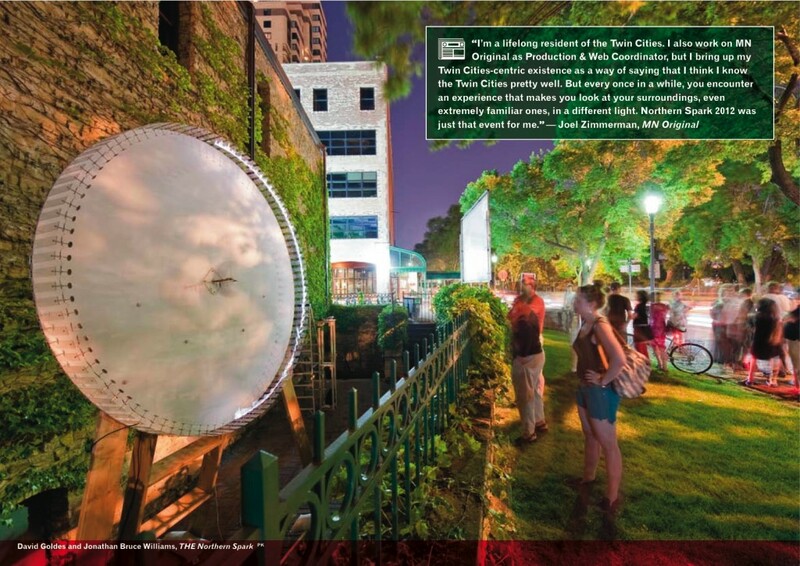 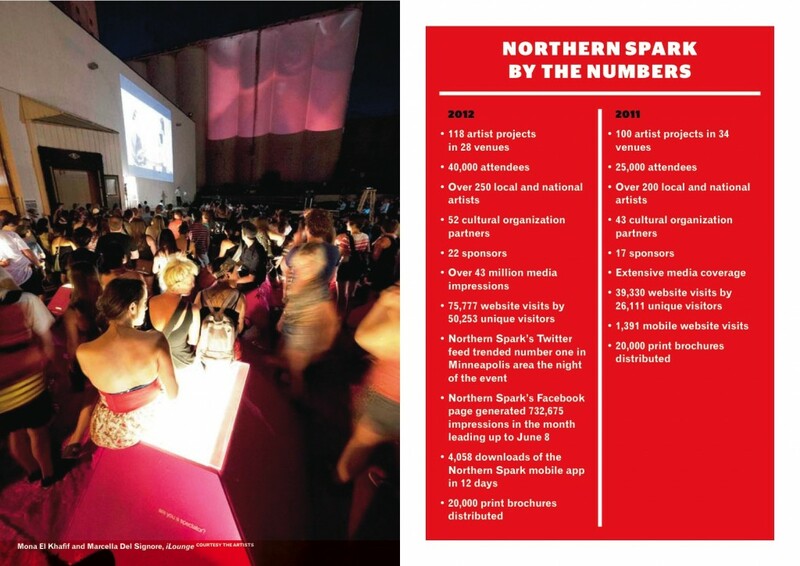 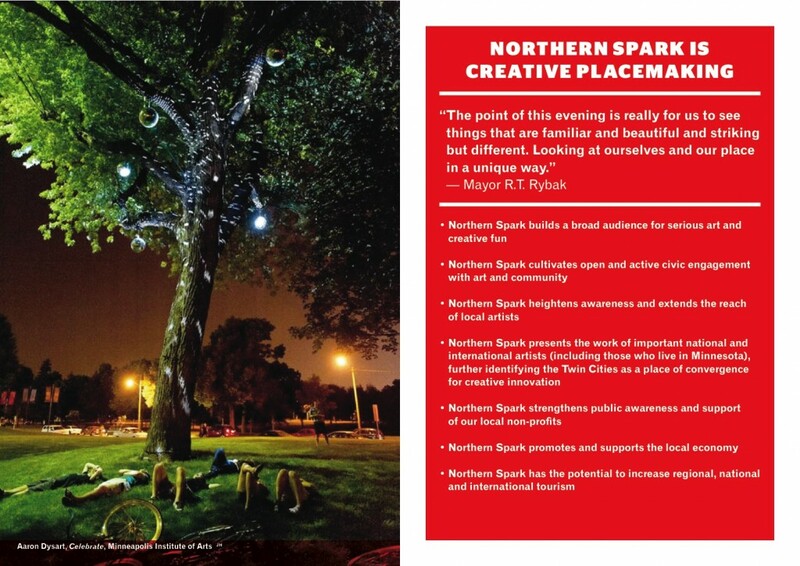 For a full list of artists and partners, visit the Northern Spark 2012 website. 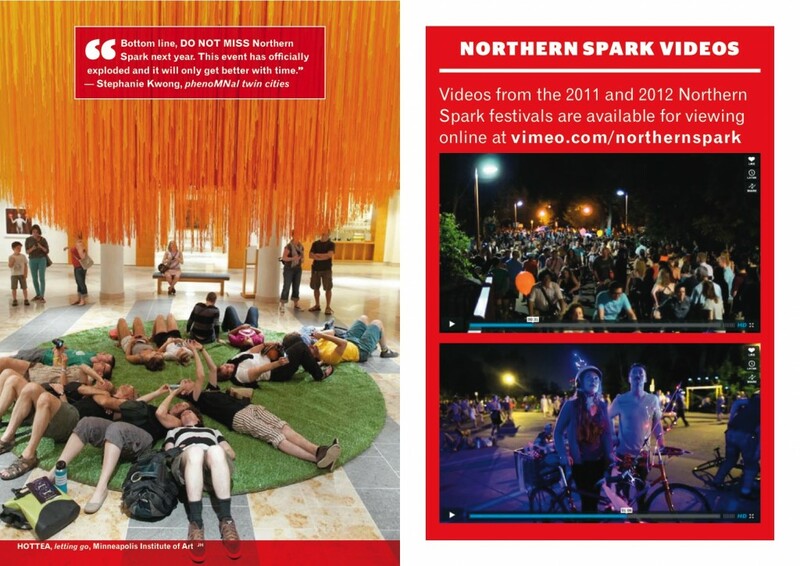 Northern Spark 2012 took place from sunset June 9, 2012 till dawn June 10, 2012. 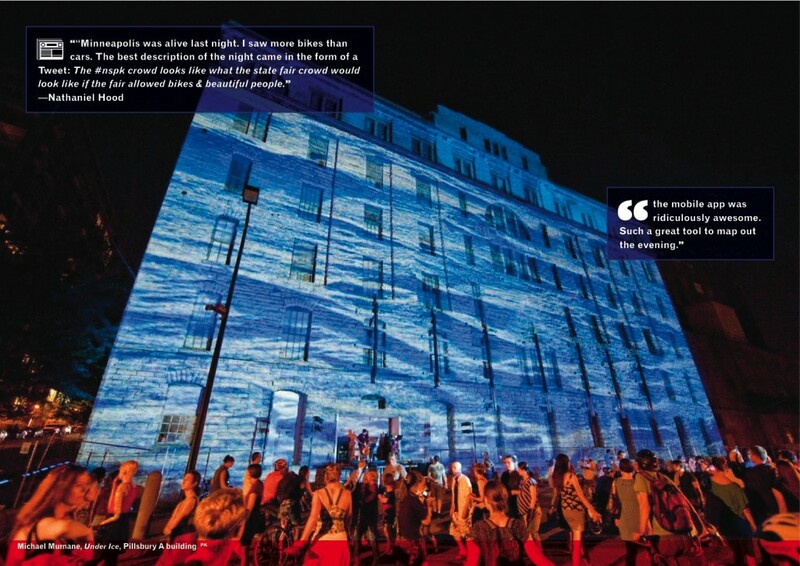 40,000 people attended. 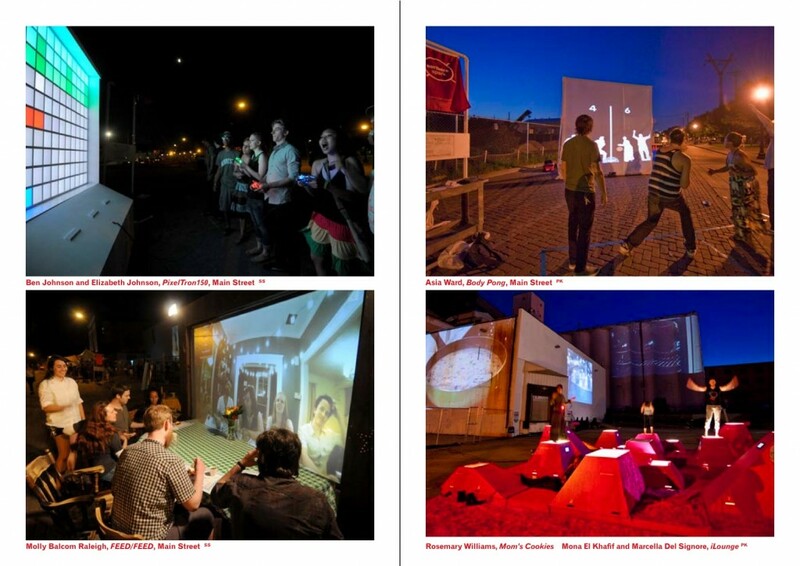 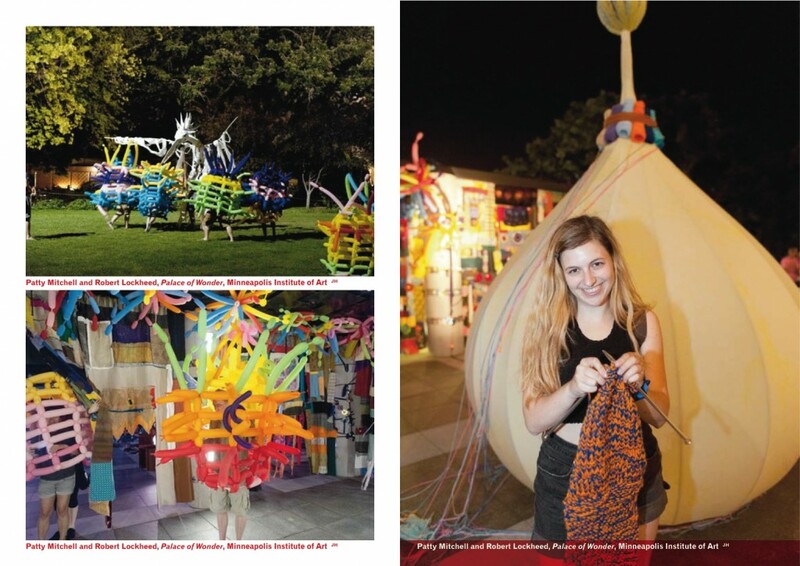 119 artist projects were presented in collaboration with 52 arts organizations at 26 venues. 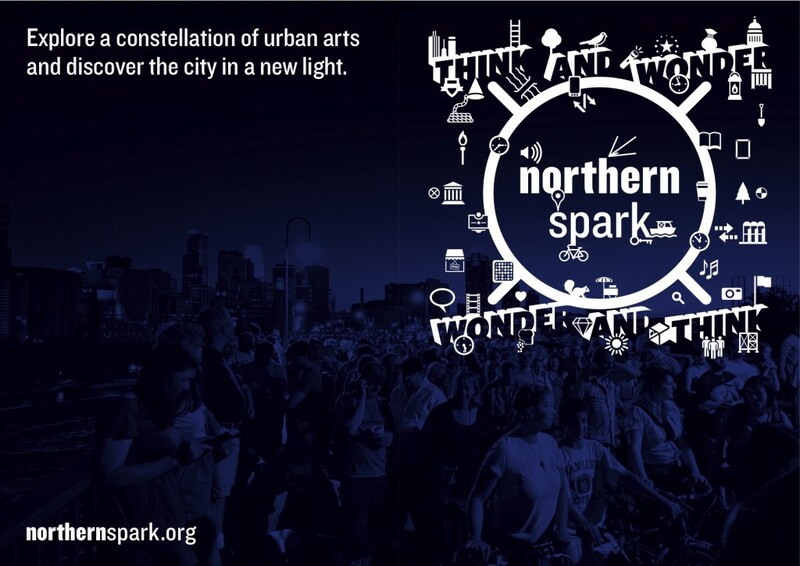 Northern Spark: All Art. 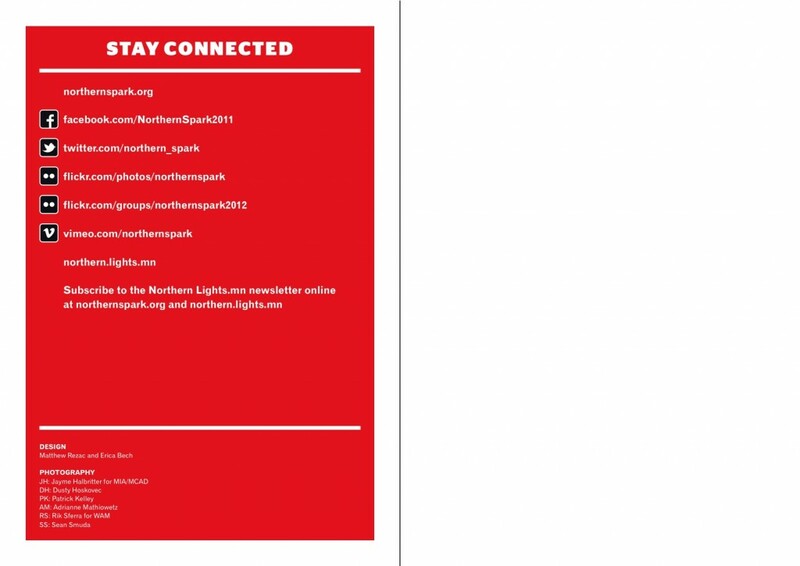 All People. 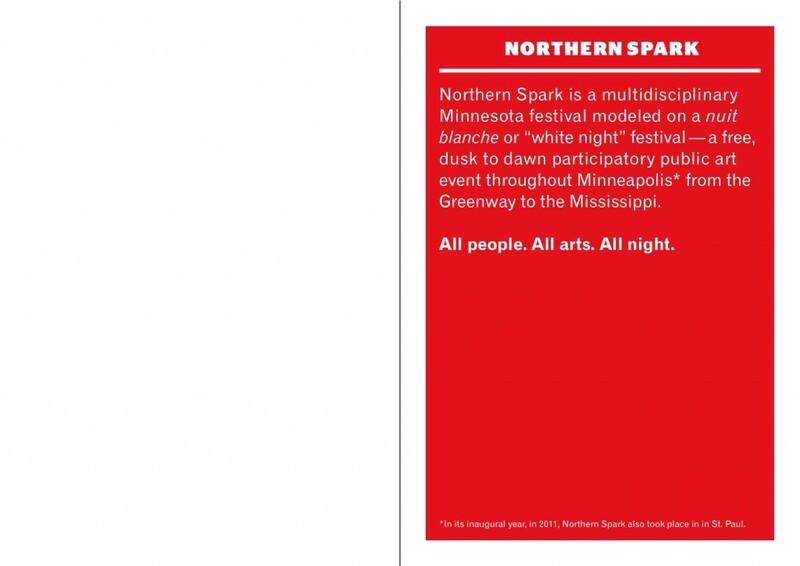 All Night.